Perfect Butterfly Magnet For Smaller Gardens! Nothing animates the garden like butterflies, don't you agree?  At Nature Hills we often get asked to recommend plants that will attract butterflies and other pollinators to the garden. 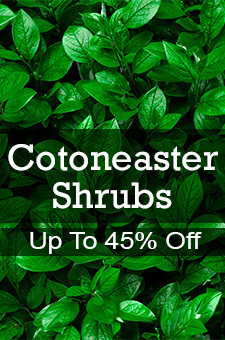 The short list always includes a Butterfly Bush or two, of course. A relative newcomer to the Buddleia scene has quickly risen to the top of our list. Buzz™ Soft Pink Butterfly Bush, BUDDLEIA davidii 'Buzz™ Soft Pink' is a must have for any serious pollinator garden and a shoe-in for smaller gardens that need soft color, movement and carefree plants. Buzz™ Soft Pink is a very elegant bush. It is a natural dwarf, shorter and more refined than most other Buddleia. It pumps out the pale-pink flower spikes from summer through frost and stays short the whole time. This makes it perfect for small urban gardens where butterflies are really needing a way-station. Buzz™ Soft Pink looks great massed in a bed, as a solo focal point, or even in a pot on the patio or balcony. This is a great companion to other Buddleia with the purples, whites and magenta's you are used to seeing. Try it with a ring of lavender plants for an otherworldly juxtaposition of purple spikes and gently arching, pink flowers waving over them. Where it gets below freezing, Buzz™ Soft Pink is will die down to the ground, but will come back faithfully every year to resume its place in your garden. If you love butterflies - and who doesn't? - you will want to plant this petite beauty in your garden this year. Do your part to help the butterflies out and order yours today!